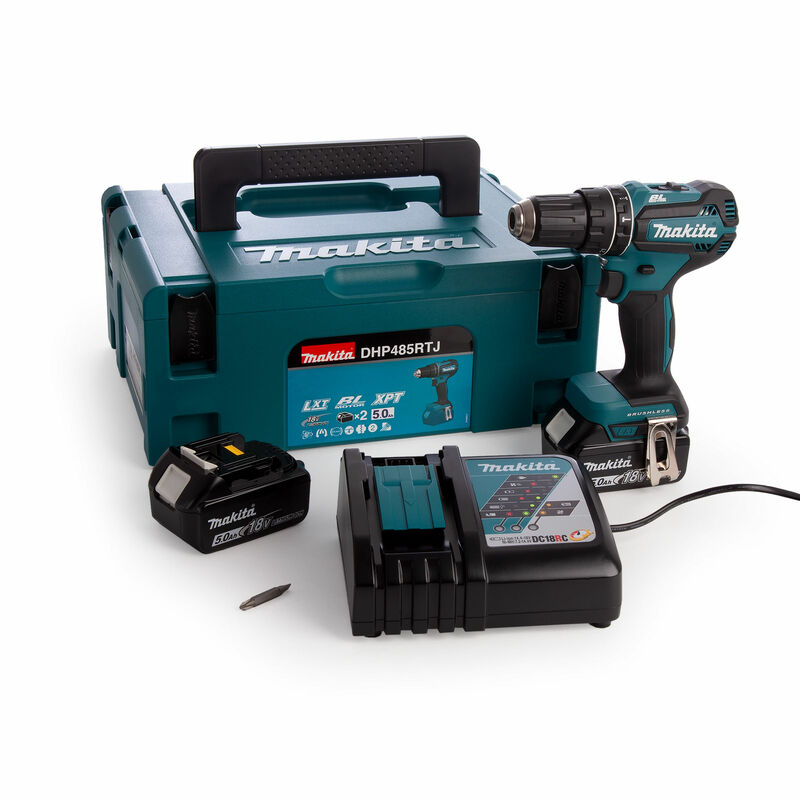 The Makita DHP485RTJ is an 18V cordless combi drill and accessory set that is ideal for a variety of applications to suit any trade. It has been developed based on the model DHP459 and has both forward and reverse rotation. 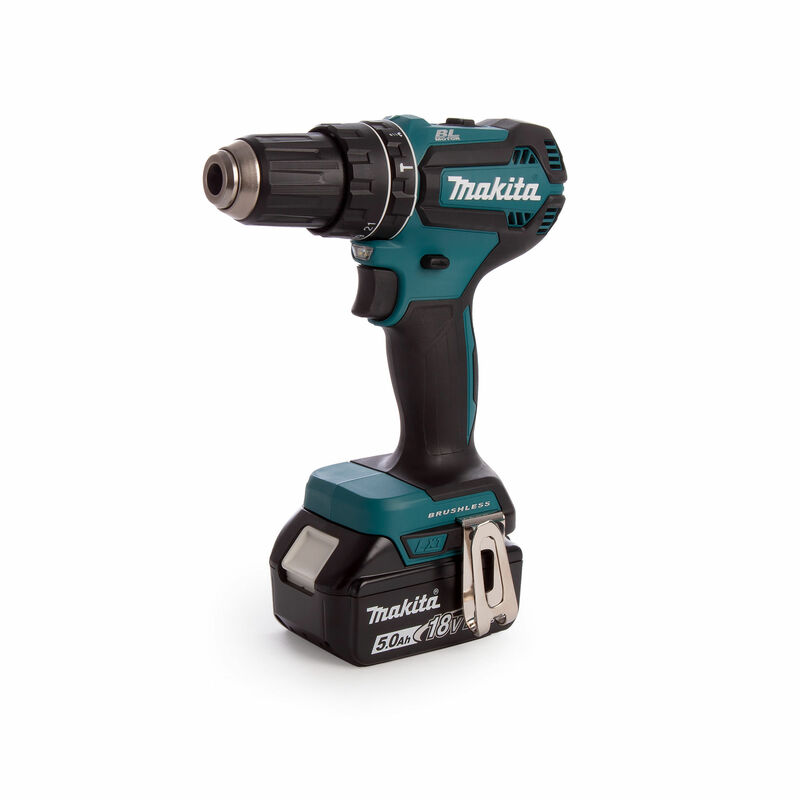 It features a single sleeve keyless chuck which allows for easy bit installation and removal using only one hand and the ergonomic soft grip provides great comfort. 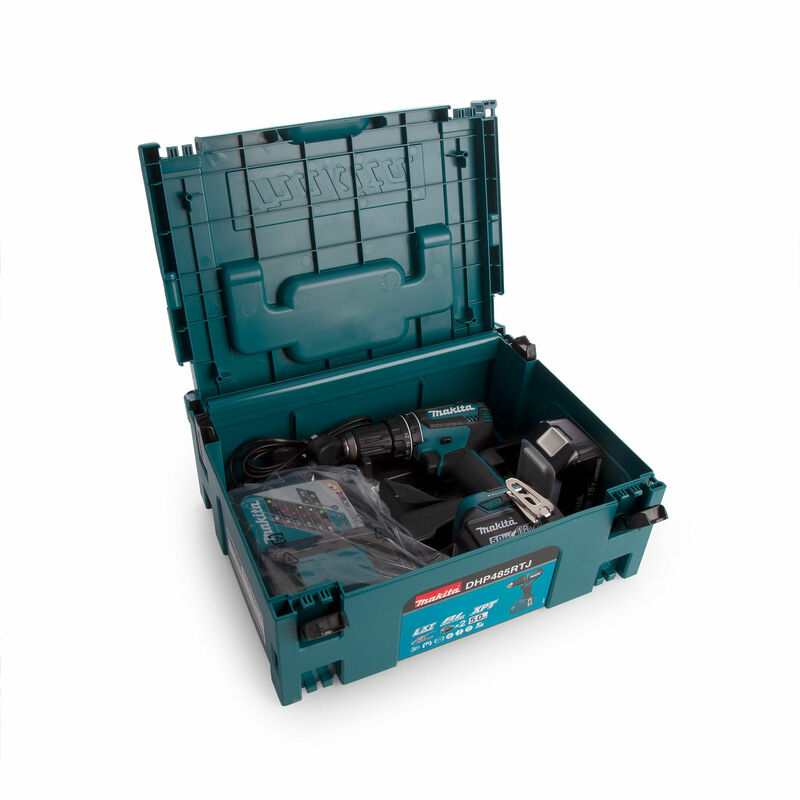 The fully brushless motor ensures maximum power and the built-in LED job light allows for precision even in dark, hard to reach areas.